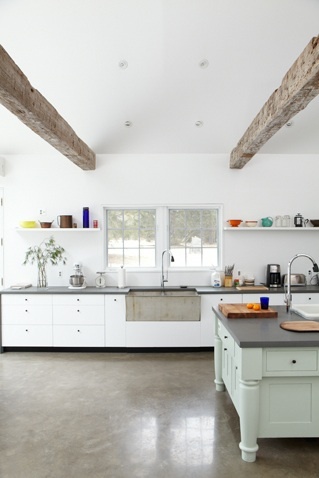 for those of you who are long time dwell readers, i know you've seen this renovated farmhouse before. but for those of us who are newer to the world of blogs and online magazines, this house represents a whole new kind of wonderful. i came across it for the first time a few days ago, and loved it so much i had to share a tour. if you've seen it before, i know you'll enjoy a second look. if it's new to you as it is to me, well, you're welcome. 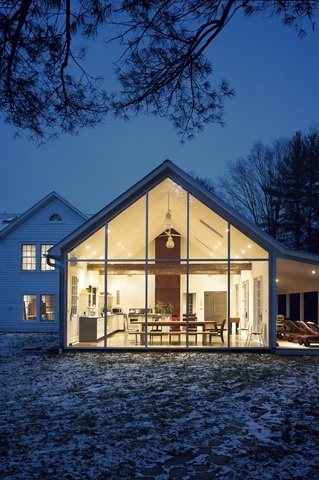 the 200-year-old house, called floating farmhouse, was lovingly restored by new owner tom givone, beginning in 2002. the four-year-long renovation resulted in a home that is, as givone states, a "study in contrasts: fully restored to its period grandeur while featuring purely modernist elements." it is now available as a rental for overnight stays or events. 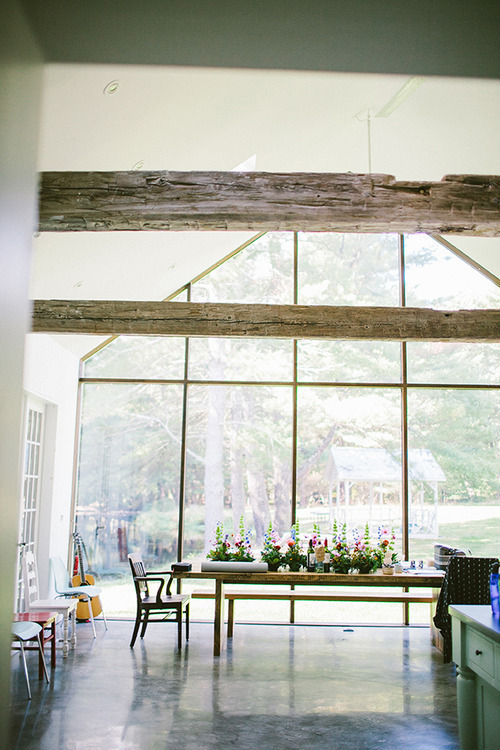 here, the dining area is decorated for a wedding, as seen on of a kind blog. 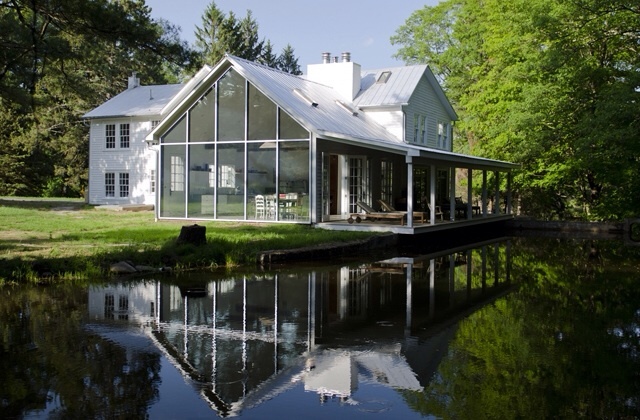 a soaring 22' wall of windows, part of a new addition, is the home's distinguishing feature. 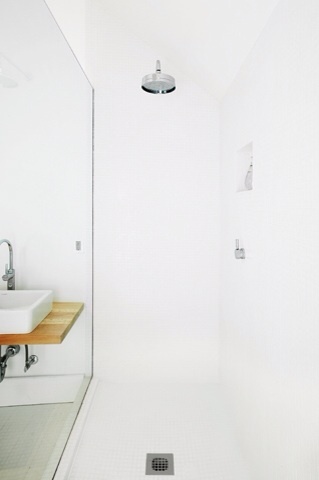 the white and minimalist kitchen soaks in all the natural light. 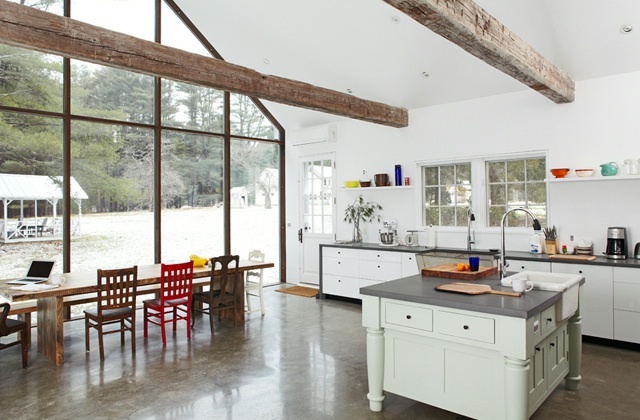 antique ceiling beams were salvaged from a dairy barn. 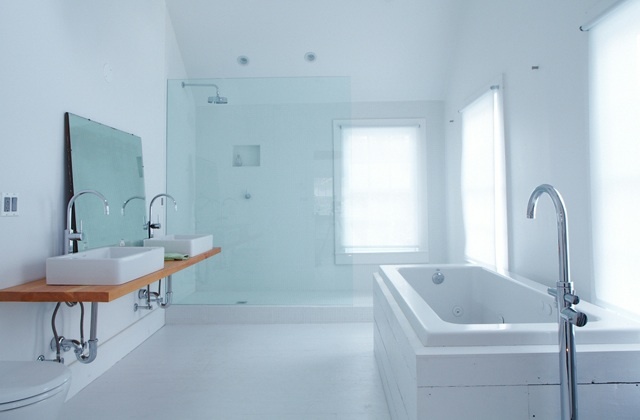 three former rooms were merged into one open plan to comprise the main living space. original plank wood floors run throughout. 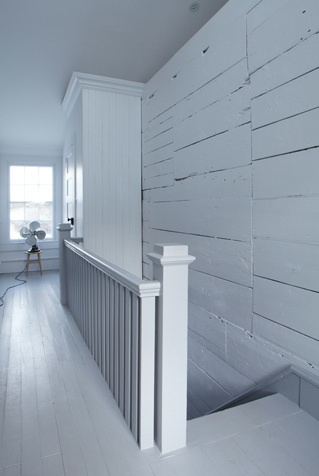 the rooms and halls upstairs are wrapped in horizontal plank wood paneling, painted glossy white. 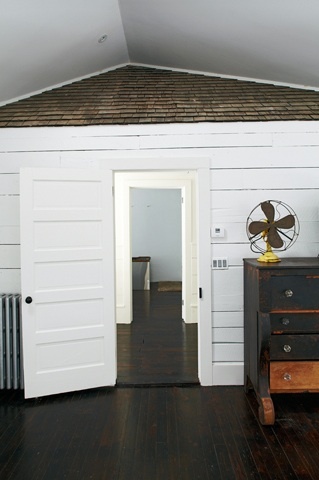 a bit of the original shingle roof peeks through in the master bedroom. 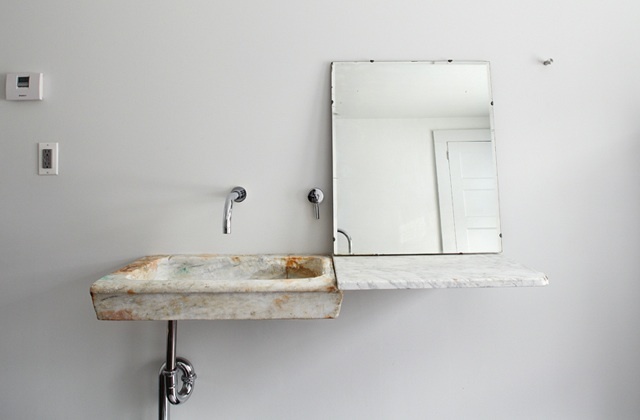 the guest bath has an italian marble sink and wood & zinc tub from the 18th and 19th centuries, respectively. 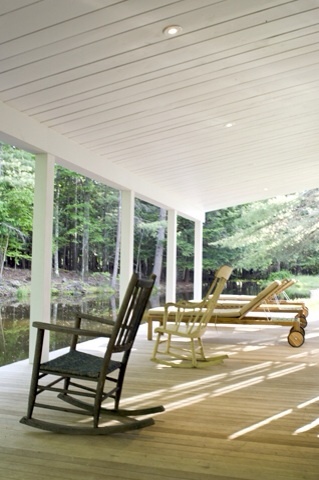 back downstairs, the perfect porch offers a relaxing spot to enjoy the view of woods and stream. what a great spot to end a day. and a tour.